I haven’t the vaguest notion of where to begin narrating my adventures in Morocco. 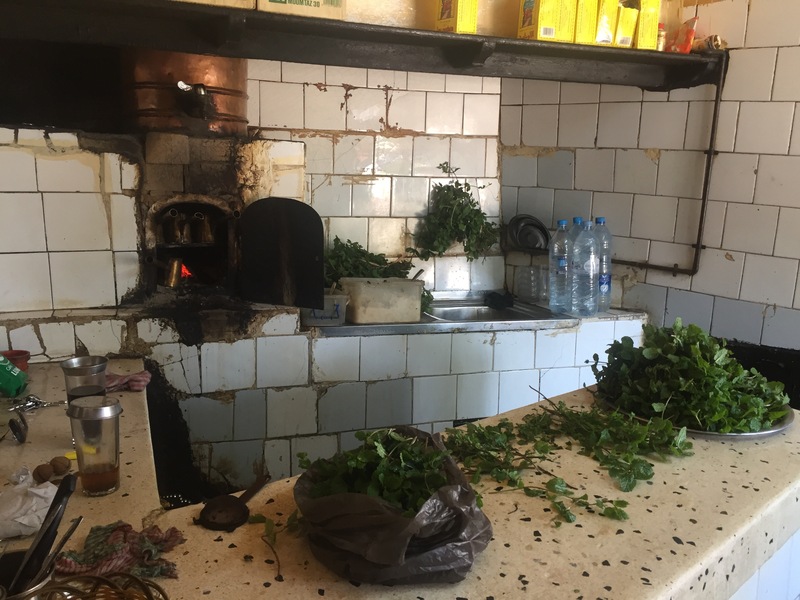 We arrived at our 3 star hotel in an unknown town of Morocco at 10:30 Friday night. Shortly after this was when I found myself on the side of the road eating snails with a really handsome Moroccan guy. And, this as it would turn out, would definitely be the highlight of my weekend. The guys would not let me take pictures of the snails on the street, entonces I pulled this one from online. 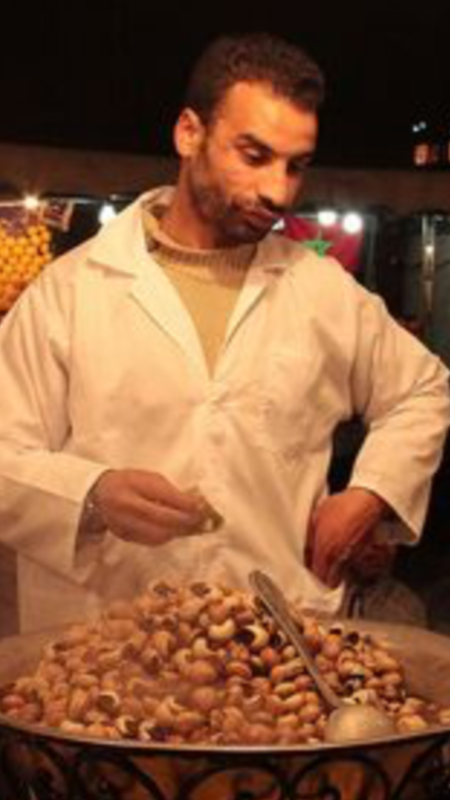 Snails are a street stall staple in Morocco where men sell them by the broth filled bowl. 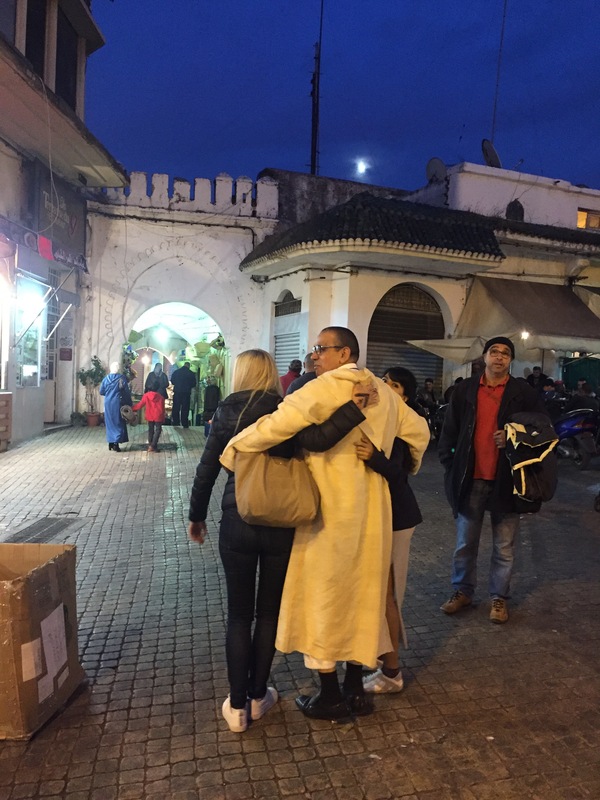 When my Moroccan boyfriend saw me eyeing them, he threw the vendor some dirham. The next thing I knew I had 2 bowls in hand-one filled with steaming snails and the other with broth. The Moroccan snails are white and smaller than the French version of escargot. Not for one second did I contemplate putting it into my mouth! I reached for a safety pin as my extraction tool of choice and minutes later the bowl was gone and I was handed a new one. The only thing slowing me down was that these little suckers are a bit springy. I chased down my snails with two large cupfulls of this briny broth. I could taste the aniseed, licorice root and mint. I was so thankful for this pit stop because I, of course, refused to eat my dinner at the hotel. 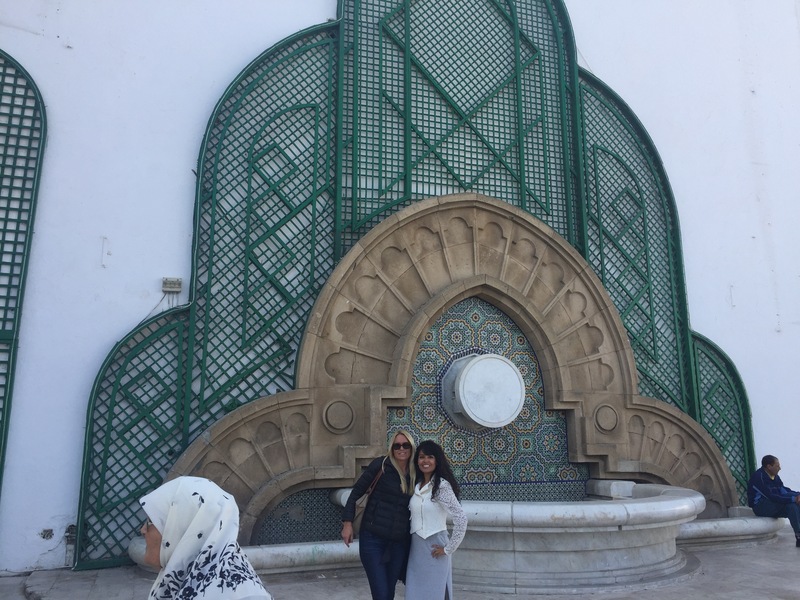 Our first stop on Saturday morning was the Medina in Tètouan. Tètouan is a town in northern Morocco. Arabic is the official language and the majority religion is Islam. 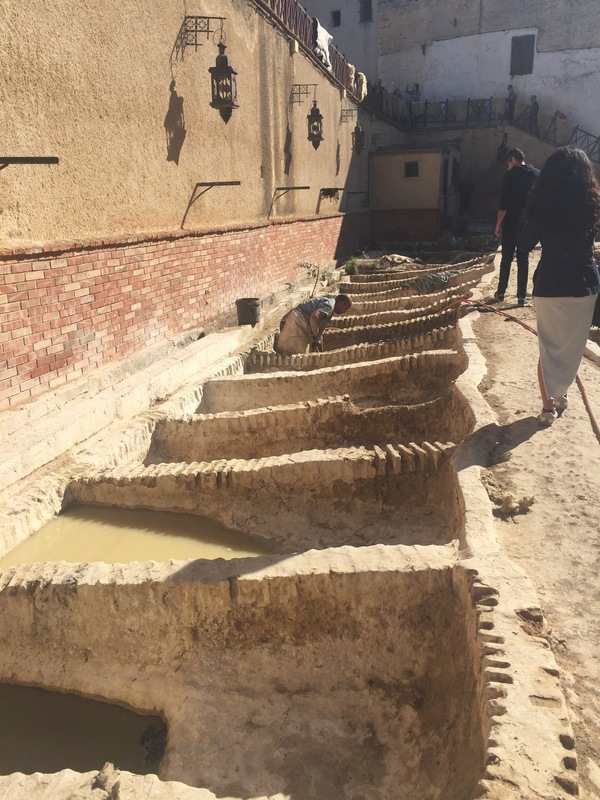 The Medina of Tètouan is on the World Heritage List of UNESCO. It is a city within walls with extremely narrow maze-like streets. And, it had a very distinctive smell that I believe will forever be ingrained in me. 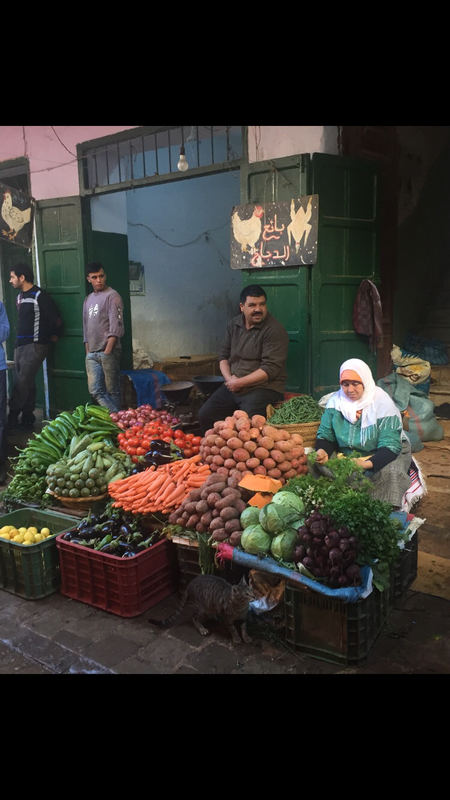 I have never experienced anything like the marketplace in this Medina. It took us hours just to weave our way through the hustle and bustle. 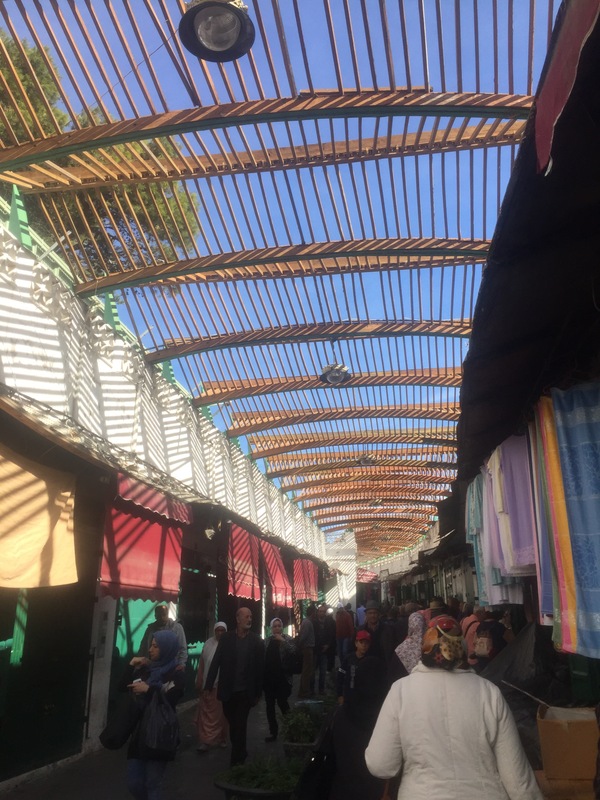 Inside the Medina of Tètouan. 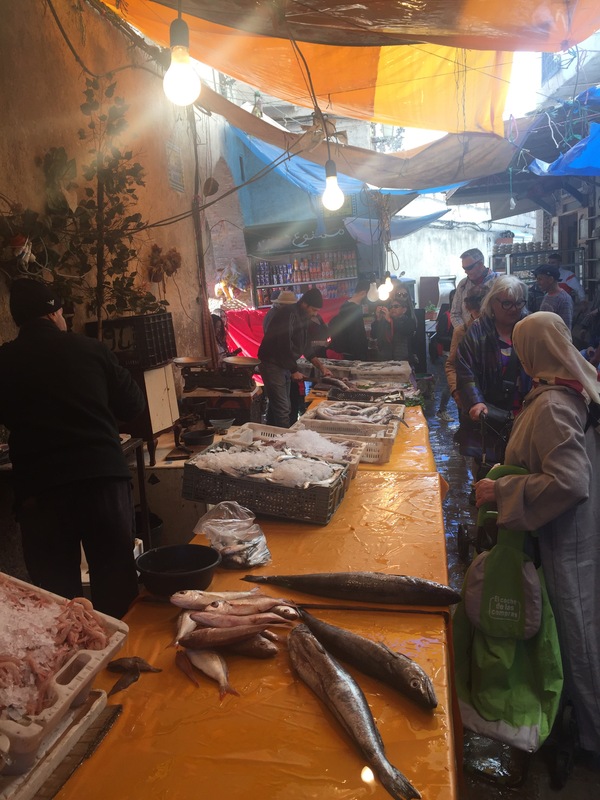 A seafood vendor inside the Medina of Tètouan. 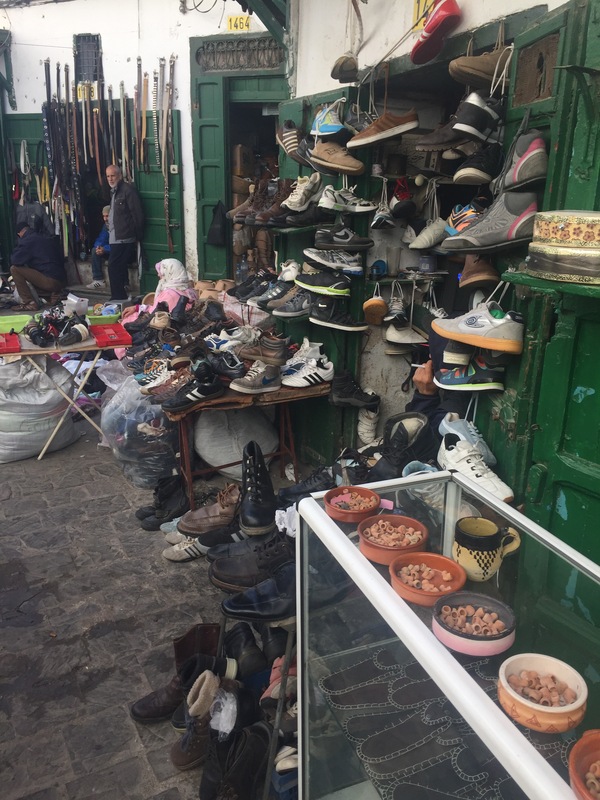 A vendor booth inside the Medina of Tètouan. 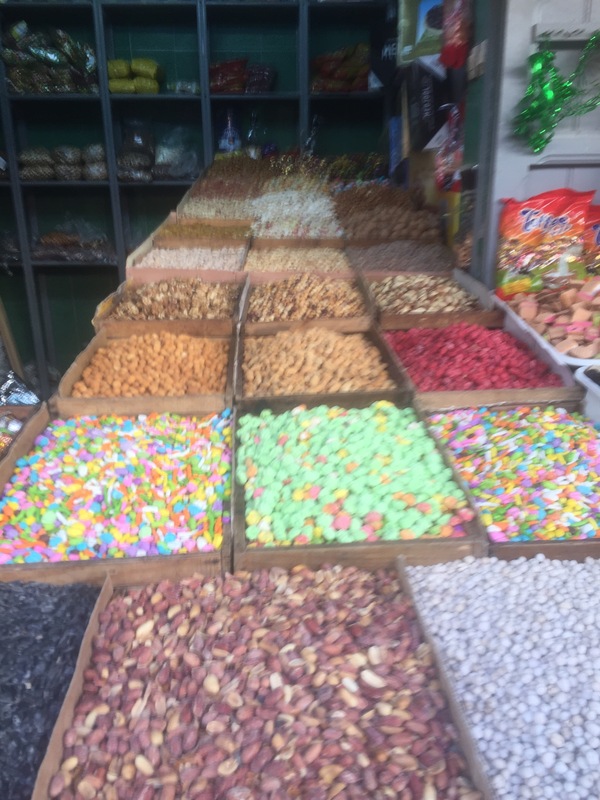 A vendor stand inside the Medina of Tètouan. 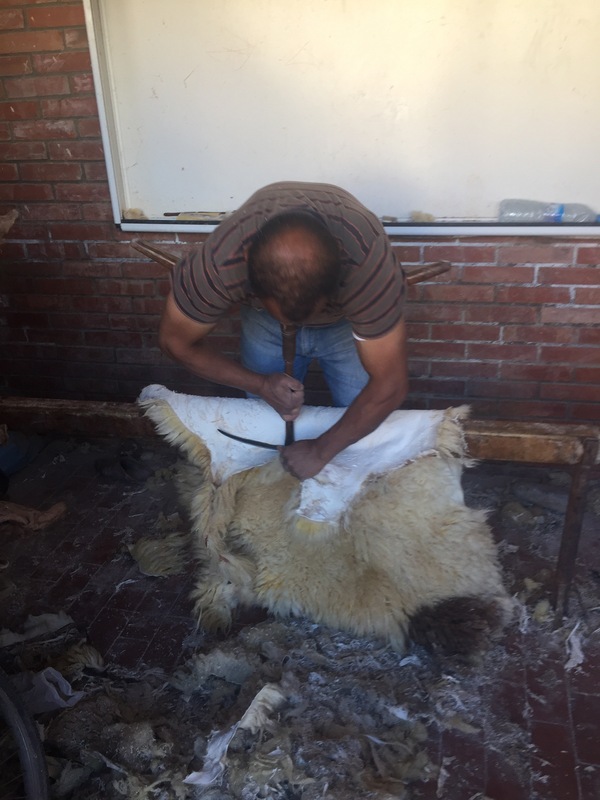 After our trip to the market, we were off to the Tannery. Okay, this is definitely not for the meak. The smell is just positively formidable. I held mint in front of my noise for about an hour as I kept a tab on this place. I walked around eyeballing everything. Prior to this experience, I had honestly believed that my prior work conditions were indefensible. But now this was simply grotesque. The sights and smells of this place have left a lasting impression with me. This is bread. I don’t know how it got here in the Medina or why it is here in the Medina. I haven’t got to the bottom of this situation yet. 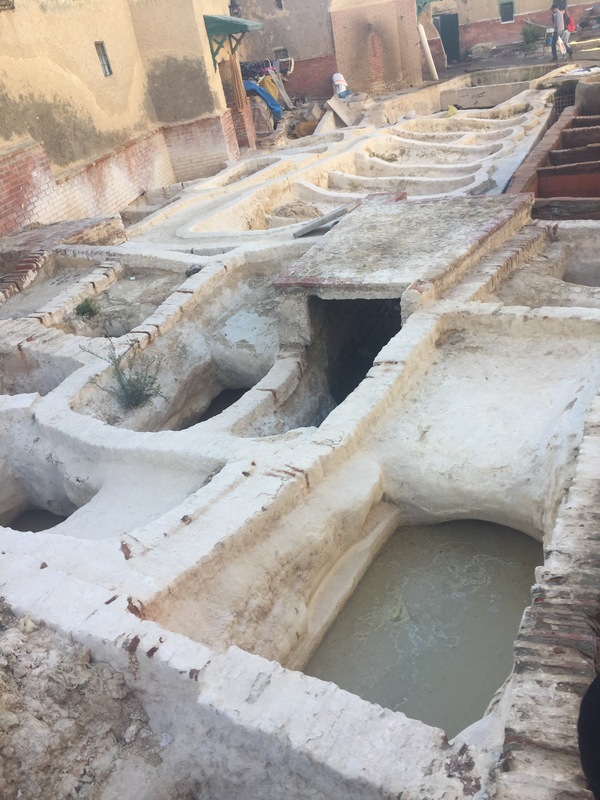 Inside the tannery in Tètouan. This is a extremely old school method. 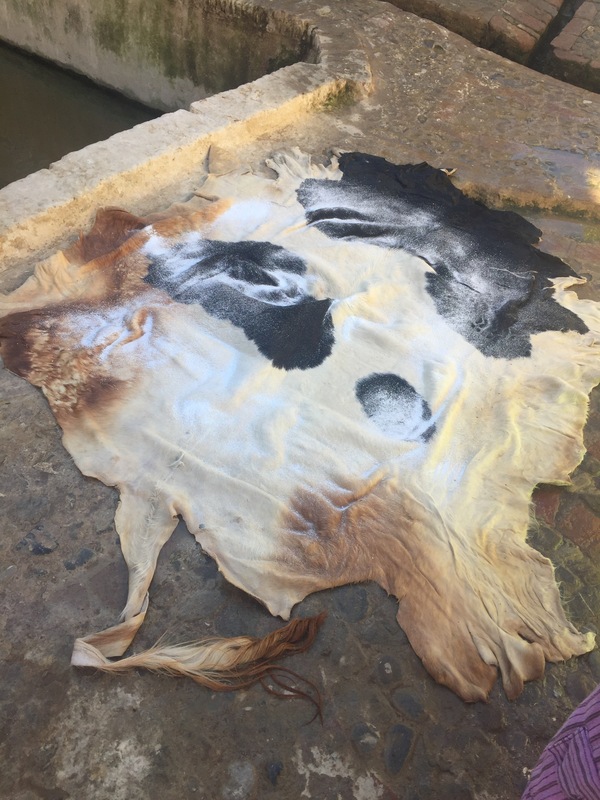 My teacher in Sevilla told me that artists go to Morocco from Spain to learn the craft. This man is working waist deep in dye. 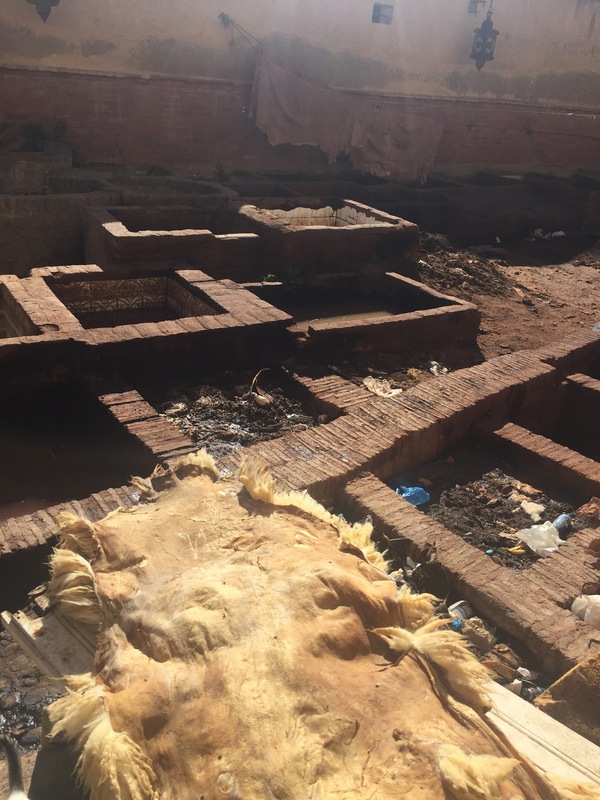 The entire tannery is a sight to behold. The main ingredients in these vats is pigeon droppings and cow urine. It can take up to seven years to complete one piece. I stopped and watched this skilled tanner at work. Amazing. We then walked through old town stopping for a mint tea on our way to the other side of town to find lunch. Hand of Fatima in Tètouan. Our stop for mint tea. 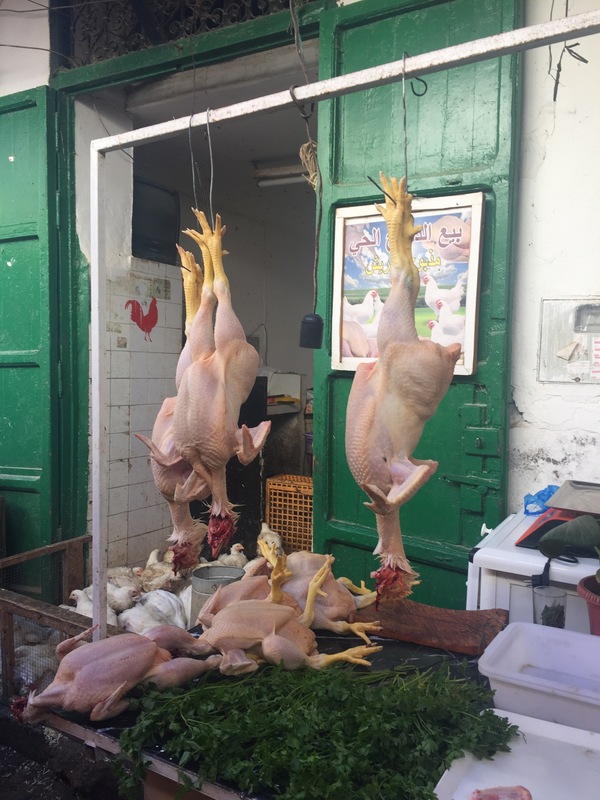 The market in the Jewish Quarter of Tètouan. 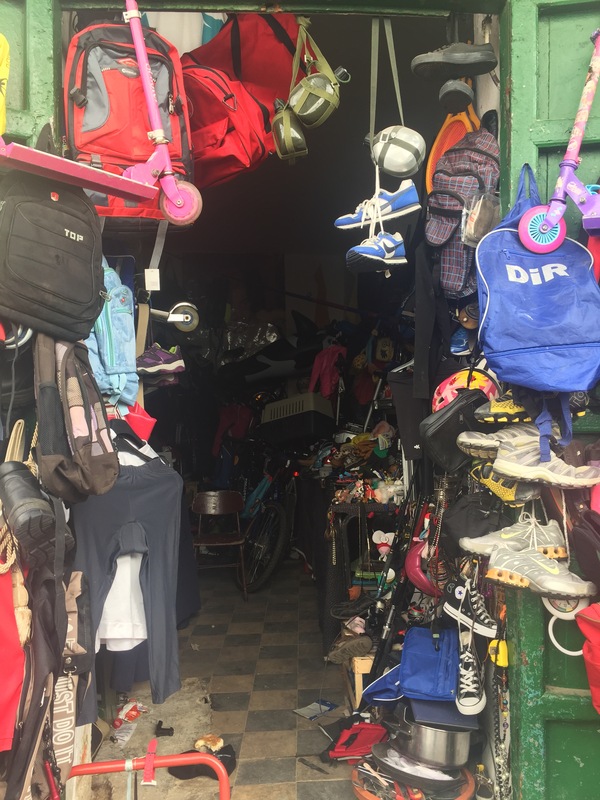 Our sights as we walk through the market in the Jewish Quarter. 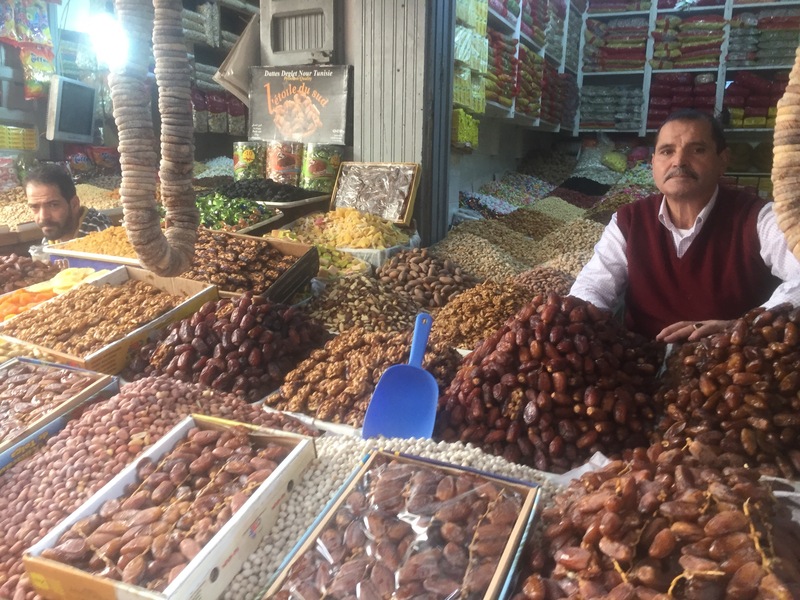 This market sold higher quality products than inside the Medina. During lunch a local woman gave us henna tattoo’s. 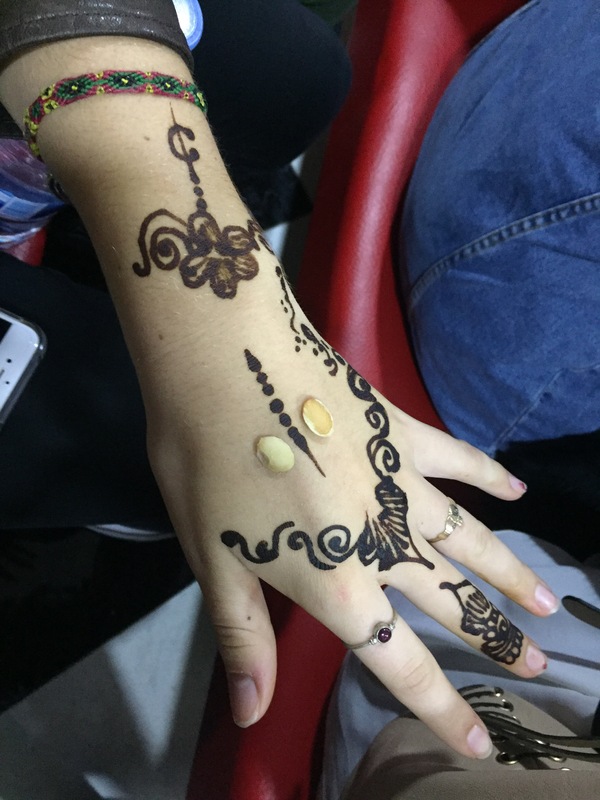 Henna tattoo with Argan seeds. 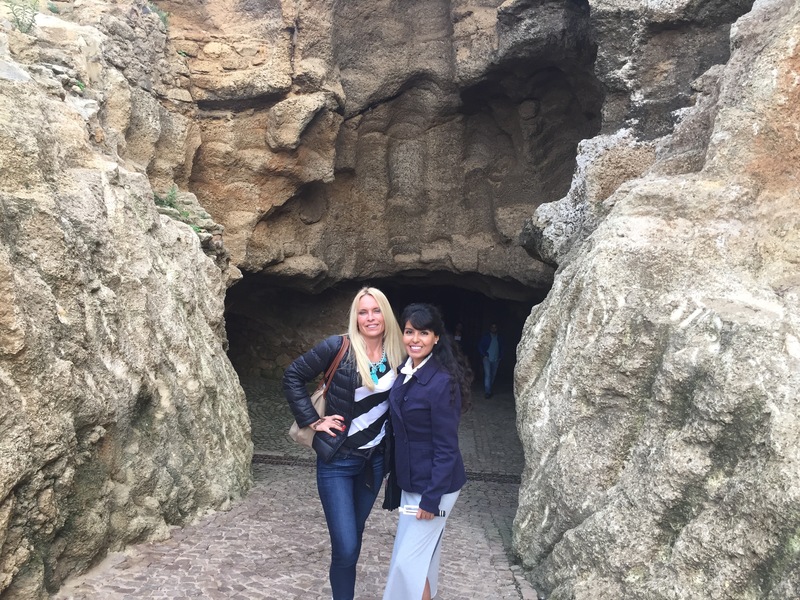 Our next stop was ‘Hercules Cave’ in Tangier. Apparently this is where Hercules rested after his 12 labours. 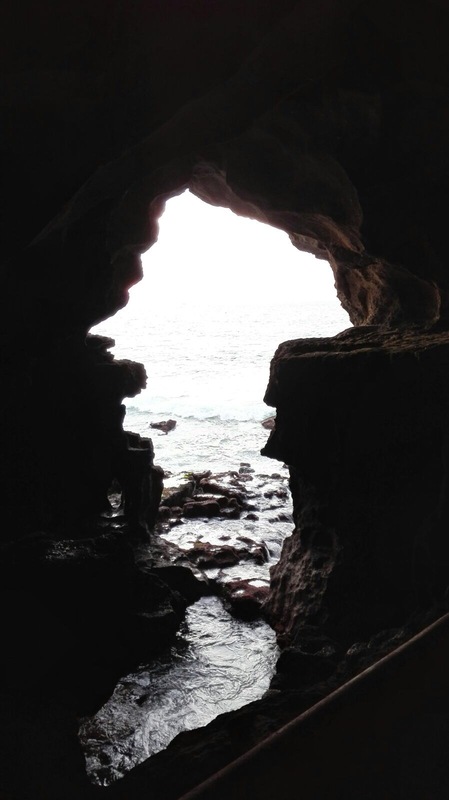 The cave bears a mirror image resemblance to the continent of Africa. MaryCarmen and I at ‘Hercules Cave’. 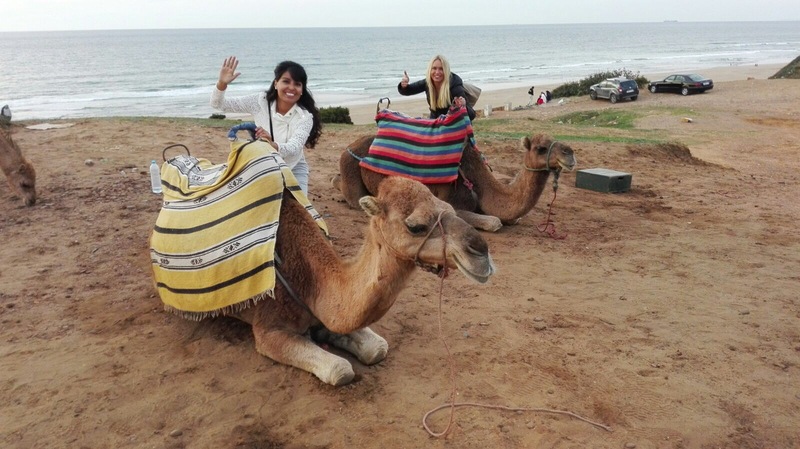 And we were off to visit the camels. 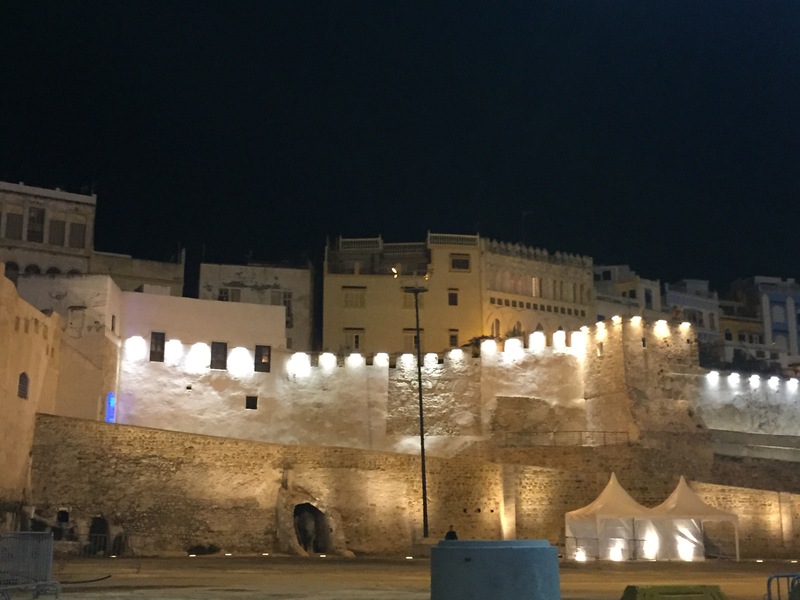 We ended our day with a walk through the Medina of Tangier. 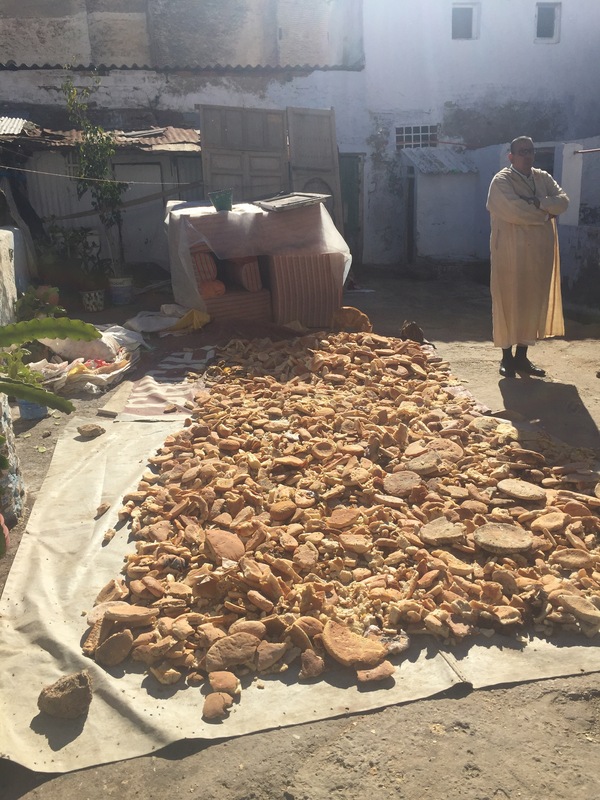 The outskirts of the Medina of Tangier.